Cannabis has been made legal around many states of United States for medical use. Whereas, for recreational purposes, it is only legalized in 10 states. Alaska, California, Colorado, Massachusetts, Maine, Michigan, Montana, Nevada, Oregon, Pennsylvania and Washington are states where the Cannabis and its products are legalized for recreational as well as for medical purposes. Cannabis products manufacturers need special custom cannabis boxes for the packaging of cannabis products. Cannabis boxes wholesale are made in custom styles, shapes and colors that protect the quality of the products and keep them fresh for a long time. How cardboard cannabis boxes helpful for drying cannabis? 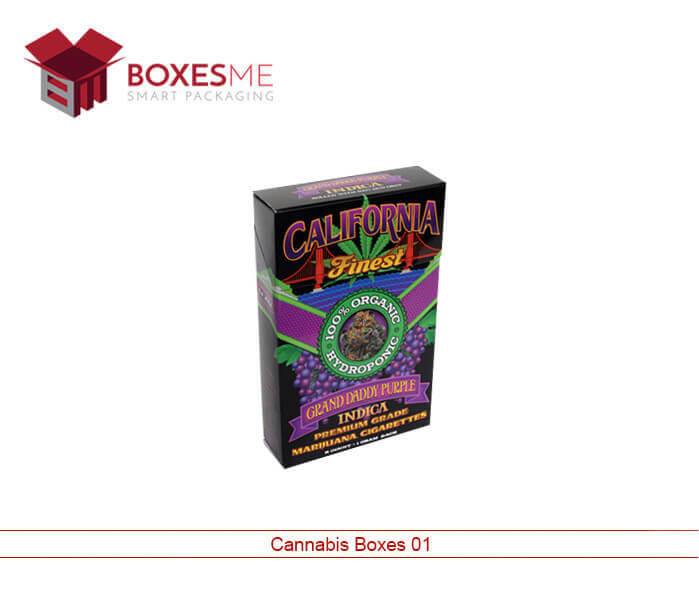 Cannabis boxes wholesale can carry any amount of cannabis products easily as they are made from durable cardboard material. They prevent the cannabis from any kind of moisture and help drying the cannabis and make its quality even better. Cannabis boxes in USA can be made in any size and shape with different opening and closing styles. If you want a custom seed boxes to display the cannabis product you can go for cube boxes with die cut window but if you need a box for keepsake you can go with reverse tuck end box style. 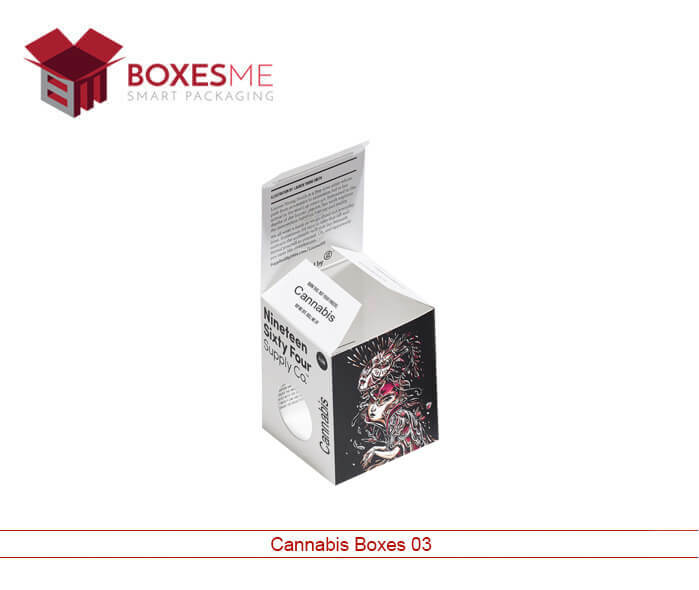 You can stylishly display your cannabis products using these special packaging boxes and enhance the sales effectively. How to find best cannabis packing? Cannabis products are mainly made for medical purposes; hence their packaging should meet all the packaging standards specified by the pharmaceutical industry. To get the best cannabis wholesale boxes, you should first observe if the packaging meet all the standards and how good the packaging can preserve the freshness of the cannabis product. Moreover, for medical products, a simple packaging design and style will work more effectively than a fancy box. You should print the box with information about the THC concentration and other ingredients which your product contains. All these things must be mentioned on the boxes to enhance your cannabis products sale. Why you should prefer BoxesMe? 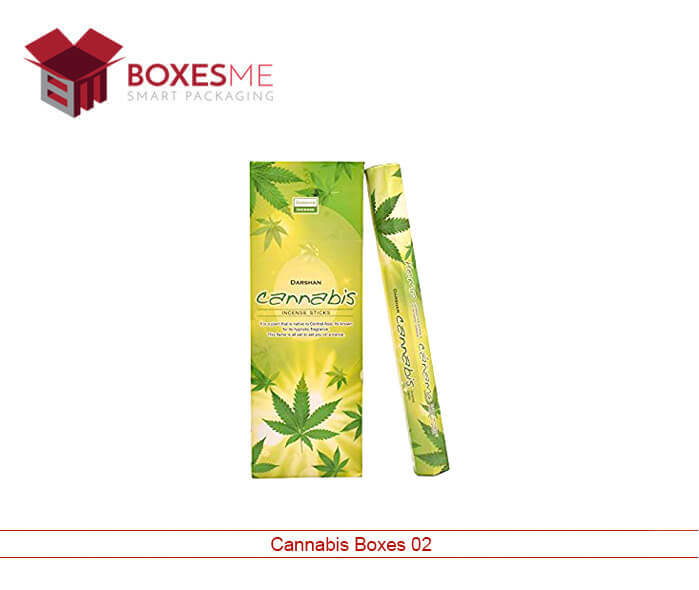 BoxesMe is a team of experts who provide the best solution for cannabis packaging. You can take the help of our designers who will help you making the boxes according to the dimensions and styles that you want. Moreover, you can print your brand logo on the cannabis wholesale boxes to promote your brand and product. Our printing techniques and expertise speaks for their high quality on the boxes as we use digital and offset printing techniques to add color to your boxes. Attractive printing adds value to your products and help in distinguishing your brand from the other products displayed at the dispensaries. We provide plenty of extra benefits to our customers that include free design support and special discount on wholesale orders. You can order in any quantity that is suitable for you, we have policy of accepting the order of any quantity of your boxes. Plus we provide free shipping of the cannabis boxes at your doorstep in United States. Order your boxes now and facilitate your business.